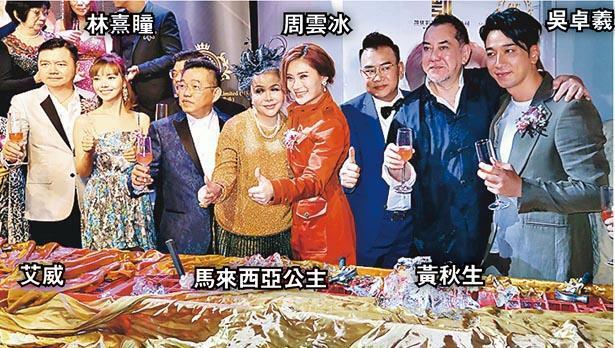 Anthony Wong Chau Sun, Ron Ng Cheuk Hei, Susan Shaw Yam Yam, Ai Wai, Rachel Lam Hei Tung and director Lee Lik Chi yesterday attended the opening ceremony of the Malaysian artist Giselle Chew (Chow Won Bing) founded entertainment company, World Speed Notion. Malaysian royalty and nobles attended in support. 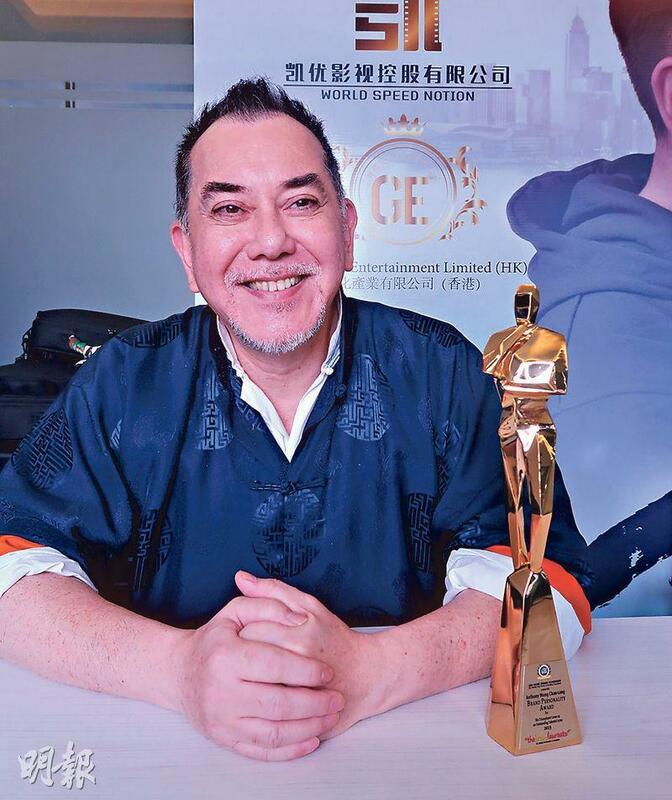 Wong Chau Sun received Asia Pacific Brands Foundation (The World's Best Brands Icon) award. Wong Chau Sun was surprised to receive the honor. "I came to show my support, I never would have guessed that they would take it this far! How am I qualified to accept this award. Even I felt embarrassed when I heard, I wanted to find a hole to crawl into." Lately he has been lucky with awards. Earlier his film STILL HUMAN (LUN LOK YUN) won the Hong Kong Film Critic Society Best Actor. He happily said, "Winning one after another, that's good too!" He stated that he looked forward to the STILL release. He knew that many Filipino maids were talking about it. Did he become the "Filipino maid killer"? He said, "Many Filipinos recognize me." Would he work in Malaysia? Chau Sun said that few would dare to ask him to make a movie, as they were afraid that their movies would be banned. Yet when he guest starred in the Cheung Tat Ming produced film A HOME WITH A VIEW (GA WOR MAN SI GAING), it successfully passed the Mainland inspection for release. He suspected whether he was banned in the first place, or whether others were censoring themselves. "Many people were looking for a sucker, saying that I am not worth the money or that the Mainland wouldn't approve. They told me to guest star cheaply, but later the movie was approved. So I am not doing that anymore, I don't want to give people the chance to insult me." Chau Sun said that he was not as smart as Chapman To Man Chak, who w was able to find a water hose (financing) for film productions. Yet on this trip he was fortunate to meet the Malaysian princess. Chau Sun said, "The Princess gave me her card, asking to call her and meet for dinner." He said that currently he was raising fund for a play in Hong Kong in July. As for the English play that he auditioned for, Chau Sun said, "I went to the audition just to test myself. All English dialogue is too hard." The Giselle Chew written, directed, starred romance YUT HEI JAU GOR DIK YUT JI (DAYS OF WALKING TOGETHER) named Ng Cheuk Hei as the lead actor. In March it will shoot on location in Hong Kong and Malaysia. She said, "Ng Cheuk Hei made a lot of TVB series and is very popular with the Malaysian audience. I have seen him in SHOCK WAVE." They were caught in an embrace on the streets earlier. 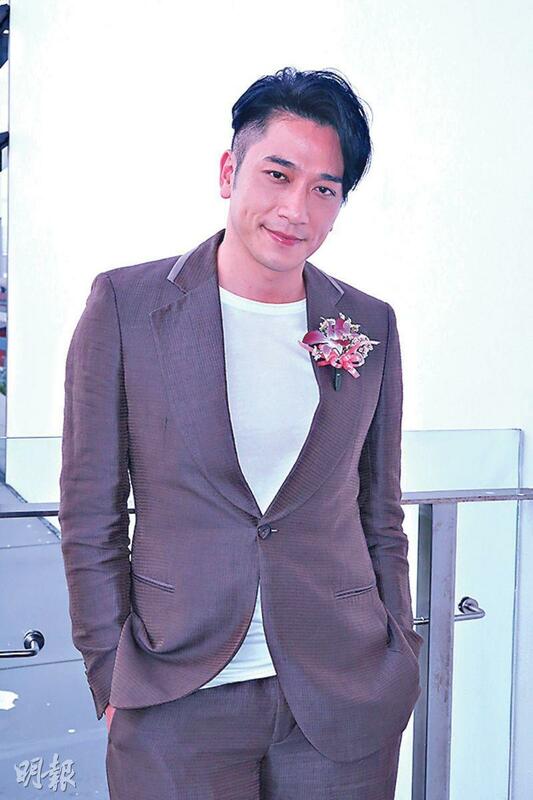 Ng Cheuk Hei said, "We were shooting a teaser. The street had so many pedestrians, I wouldn't grab a girl out on the street."